The following recipe, prepared by Chef Francesca Montillo, spears on The Lazy Italian. Last year, I was in Calabria for almost two months, enjoying every minute of it, despite the unbearable heat. As a foodie and culinary instructor, I admit that I had my share of delicious food. All in the name of research, I tell myself! I want to be able to tell you all about the not-to miss spots while traveling! I love finding new spots, trying new foods and picking up a few new recipes along the way. One day before I was to leave for Boston, I was ready to call it a vacation. Time to pack my stuff, squeeze my clothes into oversized luggage and make peace with the fact that most of what I was packing was now fitting, oh shall we say, a bit snug. All in the name of culinary research, I repeat to myself! After I packed, I took one last drive. I went to say goodbye to my beloved beach. This is a ritual I’ve had forever, going to bid farewell to the ocean. I love the beach, so the last day is always a bit sentimental. After one last talk” with the ocean, telling it that I will see it again soon, I head home. And on my way home, I spot a shop I haven’t entered yet. It’s a “biscotteficio and paneficio!” How did I miss this? A biscotteficio and paneficio is basically a shop that just sells cookies and various breads. No creamy pastries here, no tiramisu, no cannoli, just bread and dry biscuits. Should I go down? I contemplate this for only about 1 second before I make a b-line to park in front. After all, the clothes already fit tight, what’s one more cookie going to do? I go down, and the smell, oh the smell. If you have ever been to a bread shop on Italy, you know that it’s the smell you will notice first. This smell should be bottled. But I’m saddened to see that their counter is looking a bit scarce. “Signora, e sera, non c’e piu’ tanto.” A polite way of saying, “Lady, you shouldn’t have come earlier, it’s evening, what did you expect!” But what do I spy from the corner of my eye? A few leftover cookies. Are they coated in cereal? Corn flakes? Who in the world would decorate cookies with corn flakes?! No thanks! But I’m here, I went through the trouble of parking (so much work! ), it would be rude not to buy something, so I buy four. More out of duty than the fact that they appeal to me. I just can’t wrap my head around the corn flakes. I bring them home. I continue cleaning out our house before getting ready to leave in the morning. It’s now evening, time for a little snack, no? I make a decaf cappuccino (breaking rule 1 by having cappuccino after 11 a.m.), and munch on a cookie wrapped in corn flakes. CORN FLAKES! And it’s delicious! The darn, weird looking cookie, is delicious! Crunchy on the outside (the toasted corn flakes! ), and soft on the inside, it’s chocolaty, with a hint of almond and the inside melts in your mouth, while the outside provides the crunch. I love it! And I don’t want to love it because it looks weird and corn flakes are what you eat if you want to starve, but it’s delicious! Upon my return to the states, I go hunting for the recipe. I email the biscotteficio for the recipe. No reply. I email a baker friend, he doesn’t make them. I email my aunt, a traditional Italian woman, she’s never heard of them. 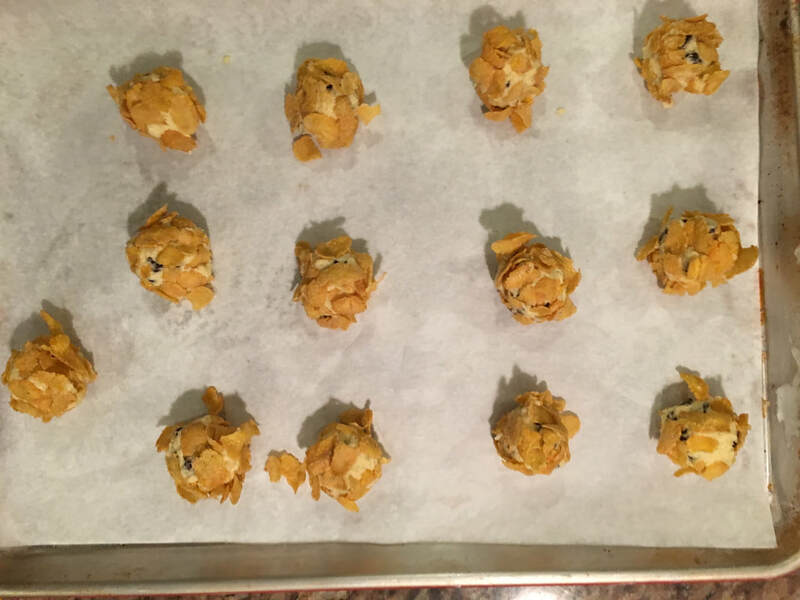 I Google “corn flake cookies” and the results are nothing like the ones I had in Italy! But I am relentless! 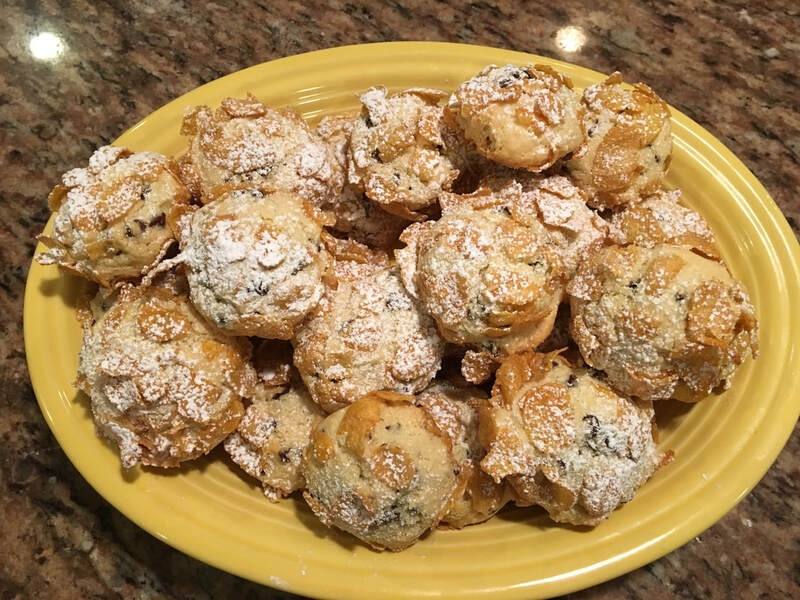 A few more emails, research, begging a few people, and…..AND, here is the recipe for you to try yourself! 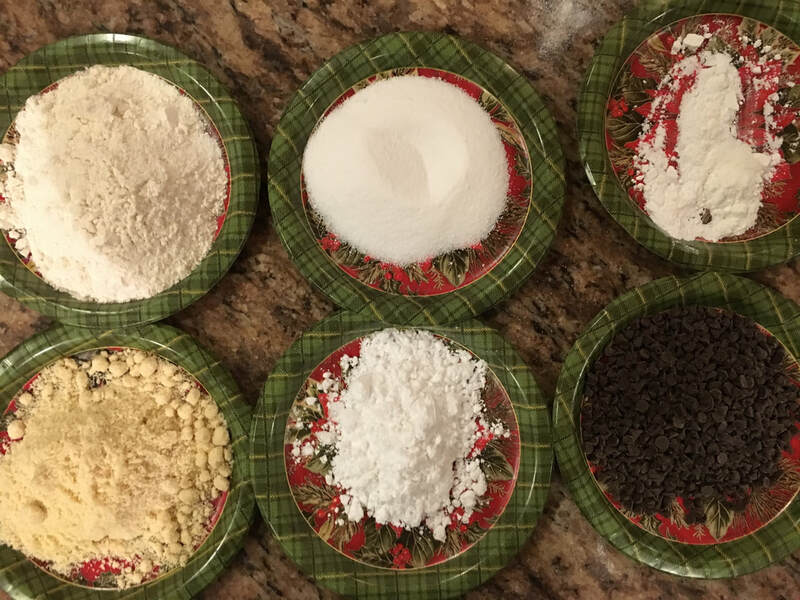 I played around with doses, flours, amounts of chocolate chips (too much of a good thing, can be too much!) and even butter consistency. 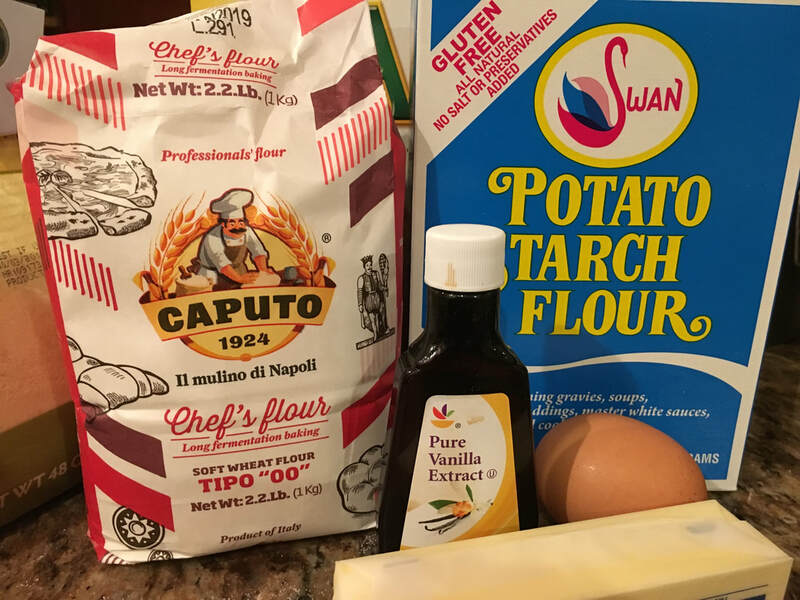 Don’t be quick to discount them because they sound odd and require 3 types of flour, none of which you will likely have in your pantry and look hard. 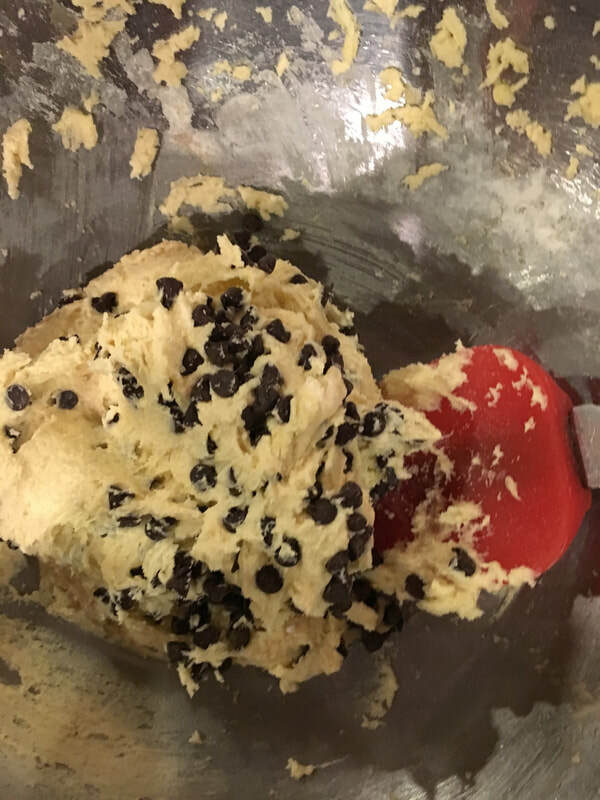 They are easy to make, once you purchase all of the ingredients! Always prep everything before you start so you don’t have to stop and measure while mixing! 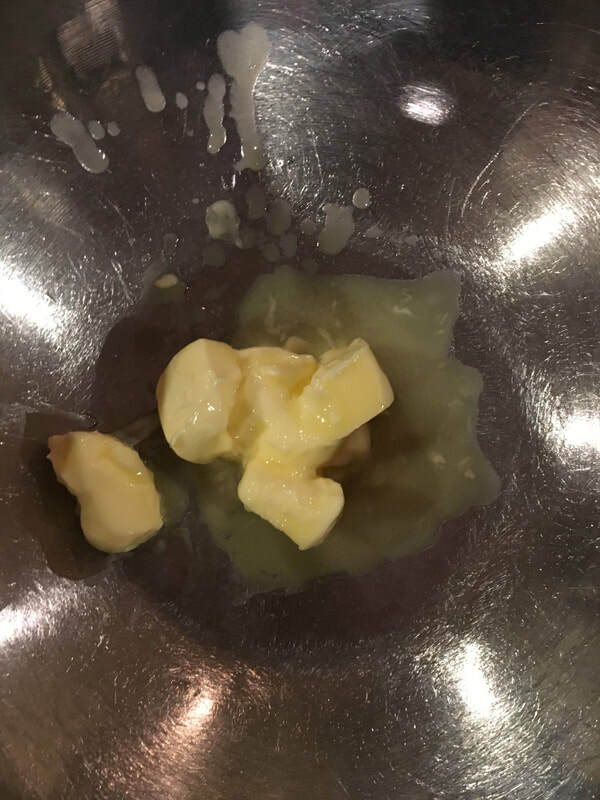 Butter should be very soft, it’s ok if it’s a bit melted. It’s all coming together nicely!